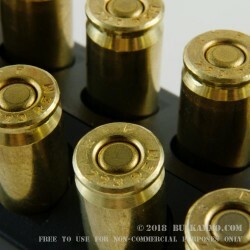 A good general plinking round in a convenient pack size, offering 200 rounds of ammunition from a known producer with a great brand history and a from a no-nonsense line of the company. 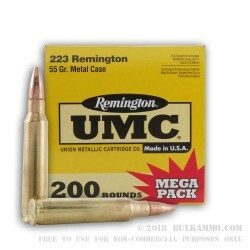 The Remington UMC ammunition for the .223 Remington in 55 grain projectile weight is a good all-around shooting cartridge that is a low recoil, high fun round that has a place in every .223 shooter’s stash. 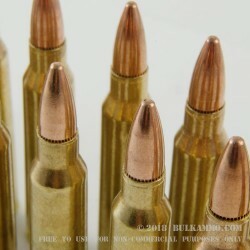 Good quality factory fresh .223 ammunition that can be easily reloaded thanks to the Boxer Primed Brass casing and the fairly clean burning powders chosen for use in the load. 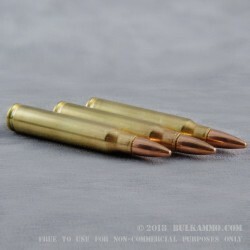 The FMJ projectile will feed and function in any rifle or pistol chambered for the .223 Rem, but it partial to moderate twist rates like the 1 in 9 or 1 in 10 rate that many shooters have already. This is also a suitable round for hunting where an FMJ is suitable for intermediate and large game (check your hunting regulations in the state you are planning on hunting in). 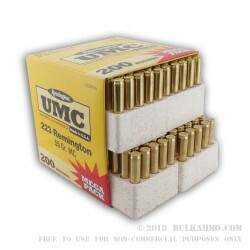 Packaged in four, 50-round foam blocks to make up a total of 200 rounds that are suitable in any .223 Remington chamber. 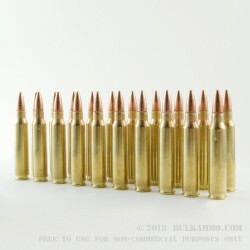 The more than adequate 3230 feet per second velocity and 1280 ft. lbs. of energy round out the value proposition for this time tested load. 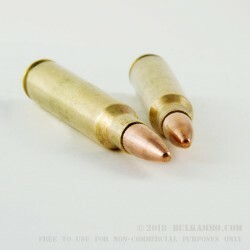 Q: is this .223 brass reloadable? A: Yes! 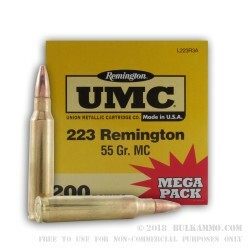 This 223 Rem rifle ammo from Remington may be reloaded. Each round features a non corrosive boxer primer.